Kwok Pong Tso was born and raised in Hong Kong. After receiving some education in Hong Kong, he decided to come to the USA to begin exploring the culture while continuing his education. In 2009 he completed the undergraduate art program at Northwest Missouri State University. He then worked as a teaching assistant and adjunct instructor in Ceramics at Iowa Central Community College. After earning his Master of Fine Arts degree from the University of Iowa in 2013, he went on to teach at the Archie Bray Foundation in Helena, Montana. 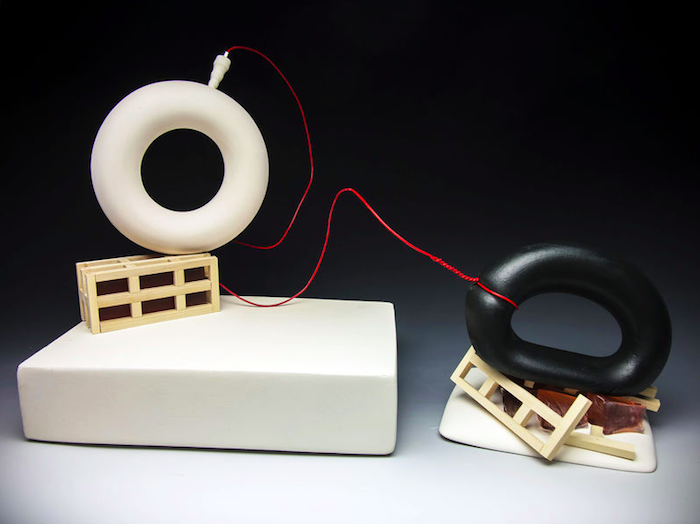 He is now Assistant Professor of Art and head of the Ceramics Department at Northwest Missouri State University. The concept of his recent work is form which grows out of his curiosity about the relationship between one object to another.